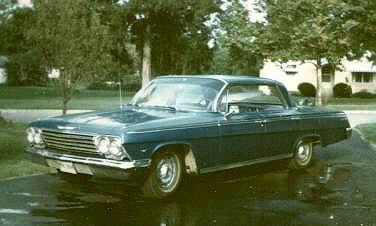 My first actual automobile, this 1962 Impala cost $400 in 1971. After rebuilding the 283 engine and Powerglide transmission, repainting the body and replacing the interior, the car was sideswiped and totaled in 1975. The car had a top speed of 107MPH and handled quite well for its size.